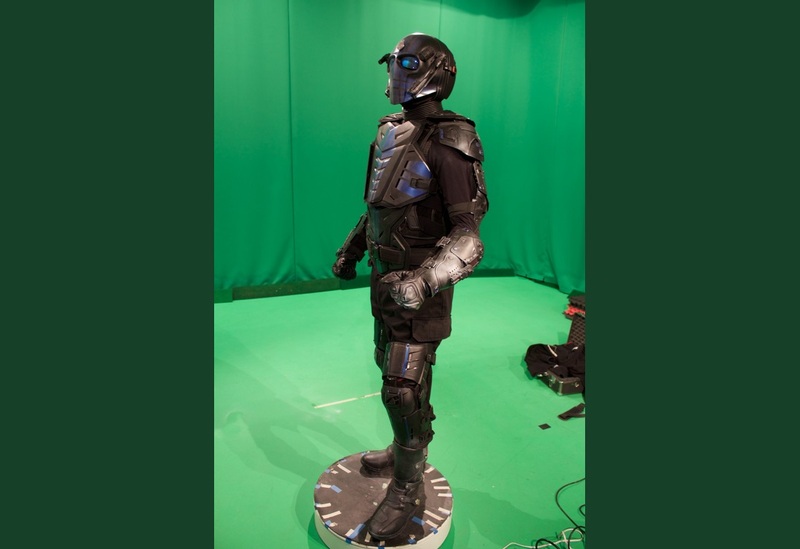 Last week our interpret leader Michael Gossack was invited to York Regional Police headquarters to 3D scan their new, and as yet unnamed, superhero. That’s right, the police in York Region have their own supernatural crime fighter! 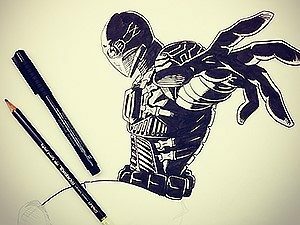 The iconic character was first conceived by Detective Anthony Torresan in pencil sketch doodles about four years ago now before being created by himself, Constable Cedrone, Constable MacRae and YRP media team. Working together, one public appearance at a time, the group is making a more likeable mascot to help carry civic-minded messaging that might assist the force as they struggle to find a voice in the community, and especially in the eyes and minds of the young people in York Region schools. Without hesitation, our Founder Michael Gossack accepted the York Regional Police force’s invitation to visit their shop and make 3D scans, and later to prepare a print-ready 3D file for their soon to be named creation. 3D scanning superheroes is one of MY3D Agency’s core services, and Michael been actively following the YRP mascot and development program since he met the freshly created character at Fan Expo in 2014. UNITED is a public safety campaign funded by a grant from the Provincial Anti-Violence Intervention Strategy (PAVIS). 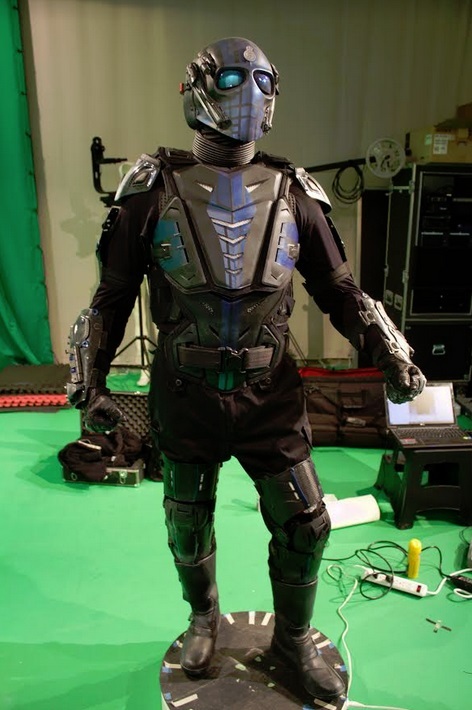 This body-armour encrusted character shines a light on the cooperation and collaboration needed between the community and the police. It is only by working lock-step the police can help change the social landscape that produces street gangs and crime. Peopled by volunteers, and paid for with a few thousand dollars from their media fund, the police have launched the outreach starting with a YouTube movie. In their short film embedded below, the Provincial Anti-Violence Intervention Strategy (PAVIS)’s yet-to-be-named YRP superhero fights the evil characters you see wearing red costumes, with the help of the community. There is a equally fascinating ‘making-of’ video that shows the work that went into the production and the army of volunteers on set during the day and night. Our own fearless leader, Michael Gossack loves all manner of superheroes and has an encyclopedic knowledge of each heroic character, their names and abilities. He would be a good consultant for these guys as they work out the fine points of their character, but he wasn’t called upon for his insights and imagination. The police called MY3D Agency seeking our 3D mobile scanning innovations and reliable service. They needed a 3D scan, and high quality 3D print file to include in an electronic press kit as part of their superhero’s new media package. 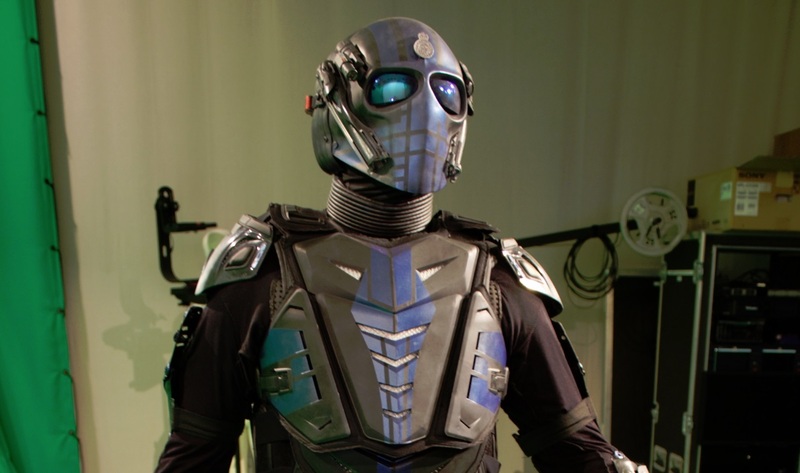 The YRP crime fighter action hero is the subject of a naming contest in 2018. 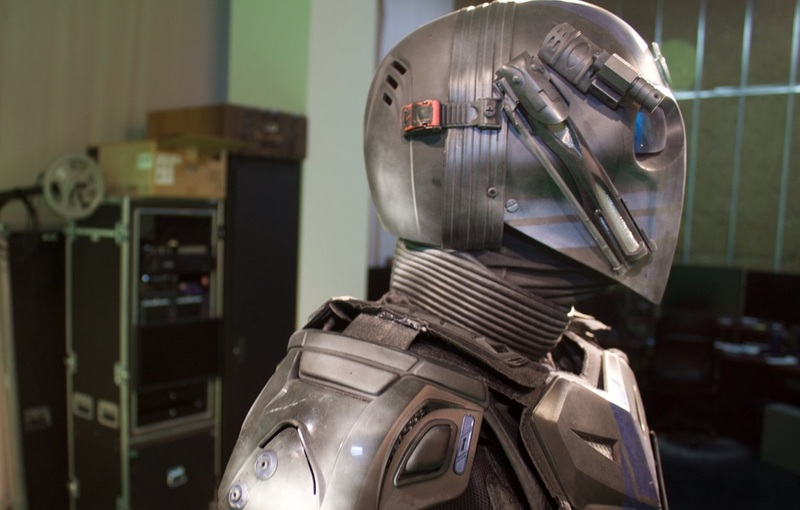 Close-ups reveal all the work that went into making the suit. Despite the police force’s best efforts, crimes will still occur in the community. York Regional Police wants to know about it, and so they’ve put a handy ‘things-to-watch-out-for’ list on their website. The categories include: Assault, Drug Trafficking, Domestic Violence, Extremist Threats, Fraudsters, Hate Crime, Human Trafficking, Internet Predators, Property Theft, Seasonal Crimes, and Street-Level Robberies. The force hopes that a more informed public won’t hesitate to report crime. YRP’s superhero will soon be named as part of a contest. Once named, the costumed crime fighter will visit classrooms around the region to help deliver the police message that if the force and community work together, they can put an “end to youth and gang violence and crime”.